Saif manages all the back office and finance functions of the company. 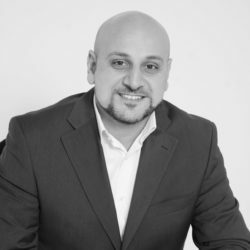 He has more than 14 years of experience in management consulting and organizational development in the Middle East, and is directly involved in building and developing the management consulting practice at Optimiza. Saif has diverse experience in assisting organizations in achieving operational excellence through enhancing customer capabilities. He has served as management consultant at ITC International, a regional business and IT consulting company in Dubai, where he successfully delivered projects in performance improvement for various industries.